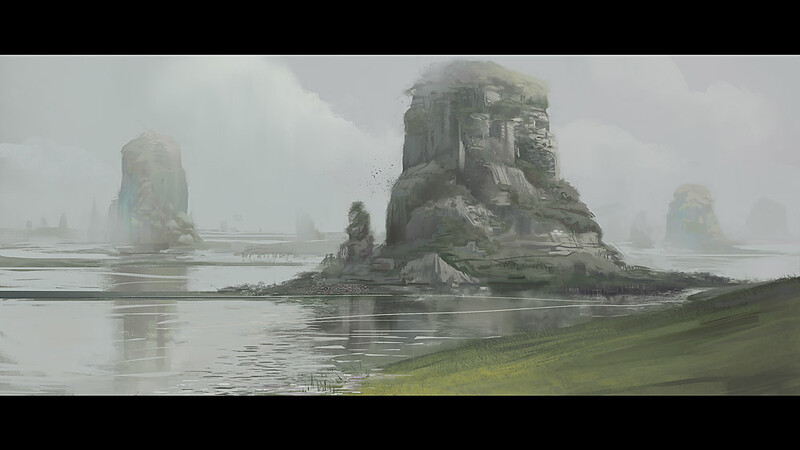 Some more environmental stuff from today. 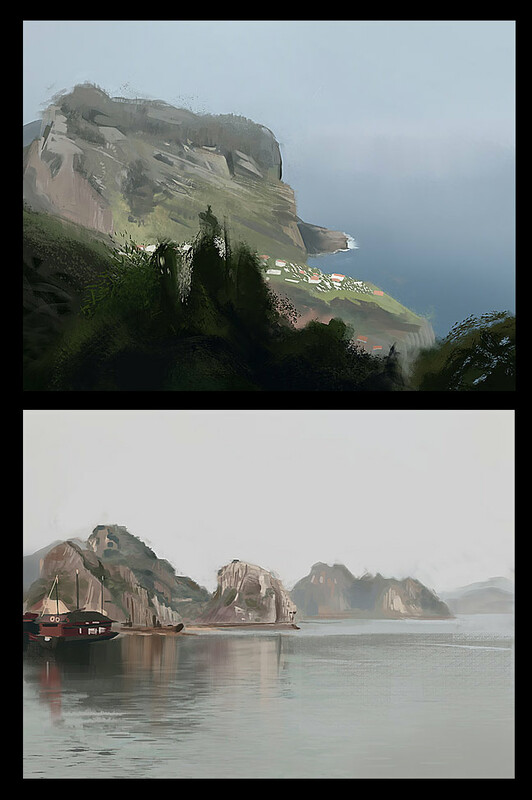 The first two are again photostudies and that last piece is done from imagination. Jeez I wouldn't have expected that painting these is so much fun and I'm learning a ton!! The main thing with these type of environments is basically how to show form with a very narrow valuerange not being allowed to really make things "pop" by going to much into darks and lights due to atmospheric perspective effects. SO yea this is basically a whole new thing for me and I am amazed how much I can get out of these. It's really fascination how "real" things look as soon as the values are very close to each other (yea I know everybody is always saying to do it that way but actually doing and experiencing that is the real deal rather than just listening to somebody talking about it! :D). 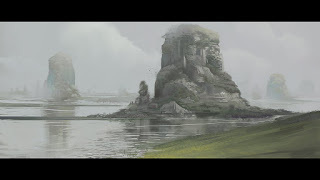 One thing I wanna share with you here because this was the thing that got me started getting more into environments are the FZD videos by Fengh Zhu. I watched all those videos and especially the one on landscape painting several times at work and to me it's just crazy how fast this guy is and how "skilled" his process is. The thing that I like most about these is the very down to earth standpoint, focusing on comunicating efficiently rather than being all artsy and awesome :D yea check them out, they are really really good! The most important thing I got out of these as far as practical advice is conerned is to start out with the most FUCKED UP brush you can find, one that is opaque (so no "splatter" brush or something like that) but just generates crazy crazy strokes and just is not usable for painting at all, so that it literally will force you to only make big shapes so that you can exclusively focus on color, value and the basic composition, use that brush as long as you possibly can (make sure that it still only creates fucked up shapes even if you're using it very small). What it will also force you to do is to seperate your steps, what I mean by that is that if your brush is all fucked up and crazy you will even create ugly strokes if the brushsize is real small, so that when you're done using it all that will be left is actually polishing this mess without changing the overall values. Now I found out that this really works for me right now, so there's no guarantee that it will work for you at all, but it's certainly worth a shot. And if you don't really get what I'm talking about here, check out Feng Zhu's video I posted above, he does exactly that and I think he explains it as well in this vid. For me the whole point of learning is basically to try as many things as possible when doing my studies and sketches, just doing the most stupid random things and eventually I will find something that actually works and that I can take into my actual painting routine. Whew so again pretty much text but I have noticed that you guys actually seem to like all my ramblings here, what is really cool becuase for me they are jsut one more way to learn. It's kind of like in school where writing stuff down is just another way to put stuff into your brain hoping once again that it will stick in there.